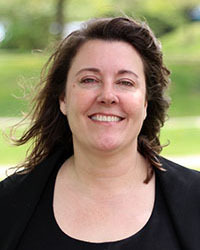 Stephanie Bohon is president of the Southern Demographic Association and an associate professor in the Department of Sociology at the University of Tennessee, Knoxville. She also is the associate director for the Center for the Study of Social Justice. Bohon: My work is primarily on immigration to the U.S., particularly to the U.S. South, and I’m especially interested in the ways in which urban areas absorb immigrants and how immigrants find what they need in urban places. What are the implications of your studies for society? Bohon: Immigration has been at the forefront of our political discourse for the last 20 years, and, at a personal level, there’s a larger number of people who, if not impacted by immigration, are interacting with immigrants than in the past when immigrants primarily just went to about six cities in the U.S.
What are some real-world applications that stem from your work? Bohon: I am quite often called on by political leaders—whether they’re governors of states, state legislators, the federal government—to advise them on immigration policy. What they do with my advice once I give it to them is different story. But I have a lot of interactions with state officials and also with government agencies who are scrambling to adapt to an immigrant client population that they didn’t have before. How did you become interested in advanced computing, and how did you connect with the Joint Institute for Computational Sciences (JICS)? Bohon: As a president of a professional association, I’m charged with making sure that research infrastructure, to the extent that I can, is great for everybody. What’s happened recently is a growth in what we call big data or big data analytics. In the social sciences, unfortunately, we run into two obstacles. One obstacle is, of course, that a lot of what we think of as big data, which would be Twitter tweets, Facebook posts and so forth, are big shallow data; they’re not population generalizable. The other issue—and they’re not mutually exclusive—is that a lot of the data that we’re very interested in that’s big data in the social sciences is proprietary, so we run into obstacles in getting those data in an environment where we can analyze them. And so one of the things that I’ve been working with JICS is finding new ways to overcome those obstacles. Additionally, we’ve been working on creating ways that help social scientists better analyze big data, such as expanding programs like pbdR [programming with big data in R language] so that social scientists who are already familiar with the R computing platform can use that, but use it in parallel processing. I began working with JICS because I was interested in answering the question of which metropolitan areas in the U.S. were doing better jobs than others in absorbing new immigrants—which places are producing more successful immigrants, creating structures that help immigrants to learn English more quickly, have higher earnings, become citizens and so forth. And whether these places change over time. One place may be good at absorbing immigrants at one point in time, and do they continue to be good or do they get better, or do they become worse, and, if so, what predicts that. Those are the kinds of questions that require some big computational capacity. In what ways have you been successful so far in applying advanced computing, and how has JICS assisted you? Bohon: By working with JICS—and I’ve been working very closely with them for the past couple of years—we’ve spent a lot of time not only developing processes so that I can answer my own research questions but also looking at the problems across the social sciences in general, particularly in the fields of demography, geography and sociology, and saying what are the hurdles, how can we overcome them, how can we create a better computing environment for social scientists, and then how can we do the training that would build on the advanced statistical training that most social scientists already have. We’re just working through those problems, and we’re making great advances. But one of the things that would be useful for us is for more social scientists to come forward with their problems and say what could I do in a big computing environment. Where is your research headed from here? Bohon: One thing that we’d really like to see is the creation of an advanced computing platform at JICS where social scientists anywhere in the world can log into JICS remotely to find answers to their social science research questions, perhaps answers to questions that have never been asked before because people didn’t have the hardware to tackle the questions. A second thing we’d like to see is some work between JICS and the federal government to make a private repository where permitted researchers could come and access restricted data in an advanced computing environment. Thirdly, for my own research, I’d like to continue to explore how immigrants are adapting to life in the U.S., how places are adapting to the presence of immigrants. And the facilities at JICS are really opening wide the gates to the questions that could be asked within those larger umbrellas. JICS Helps Surmount Computational Obstacles in the Social Sciences from JICS on Vimeo. About JICS: Established by the University of Tennessee and Oak Ridge National Laboratory, the Joint Institute for Computational Sciences (JICS) is a conduit for research collaborations and a provider of advanced computing resources. It also is an educator in cutting-edge computing focused on solving the most difficult problems in science and technology. JICS operates the National Institute for Computational Sciences (NICS), a leading academic supercomputing center and a major partner in the National Science Foundation's eXtreme Science and Engineering Discovery Environment (XSEDE).